Can smiling help you live seven years longer? Researchers at Wayne University studied old photographs of baseball players to see. According to their results, non-smiling players lived an average of seventy-three years, while those who smiled a little bit added two years to the average. Players who flashed a teeth-filled, wide smile lived an average of eighty years. The holiday season has arrived. Houses light up the night sky. Sales offers fill our mailboxes. Seasonal songs greet us everywhere we go. For most, the holidays provide a special time for families to gather and gifts to be shared. We laugh, play games, maybe argue a little bit, but we always have food. Family buffets rich with sweets and meats and casseroles and treats. Do you know someone with a beautifully white smile? Then you know a remarkable smile is hard to forget. It creates a powerful and lasting impression. But achieving and maintaining white teeth can be a challenge. Even with daily brushing, dark liquids like coffee, tea, soda, and certain foods tend to stain teeth and dull smiles. Maybe you’ve seen commercials, magazine articles, or Facebook posts about the amazing benefits of dental implants. Dental implants have really changed the face of dentistry and patients are reaping the results. While unsecured dentures serve a helpful purpose in some cases, modern dental implants provide a long-term solution to replacing a single missing tooth or multiple missing teeth. Every time you open your mouth, it reveals some interesting and surprising things about you. Your dental hygienist and your dentist see much more than cavities and crowns. They are like experienced dental investigators, reading the evidence as they help you achieve optimal oral health. Did you know that a healthy tongue is an essential part of your overall oral health? Your tongue is one of your mouth’s most important defenses against bacteria and plaque. It also allows you to taste and swallow the foods you love, articulate words correctly, play instruments, (and even kiss). If your tongue is so important, how do you know if it’s healthy? Do you get frustrated with your dentures? As any denture wearer knows, dentures provide a helpful replacement for missing teeth, but they come with challenges. Brushing your teeth is one of the most widespread daily habits in America. But what if we’re not doing it right? What if we could brush more effectively for better oral health? Say goodbye to uncomfortable bitewings. Because your comfort is our priority, the Murray team offers a safer, pain-free dental x-ray experience for our patients. Daily brushing and flossing combined with regular professional dental cleanings from the Murray team are still the most effective way to keep your mouth healthy. However, according to the American Dental Association, therapeutic mouthrinses or mouthwashes can help improve your overall oral health. Do You Get Enough Sleep? If you have a difficult time getting a full night’s rest, you may have a common sleep disorder known as sleep apnea. Sleep apnea is a serious issue affecting over 20 million Americans and costing upwards of $3 billion annually for diagnosis and treatment. Is it possible that billions of dollars of dental insurance benefits go unused every year? A recent study found that more than one third of adults under 65 did not submit even one dental insurance claim during the year. Whether a minor annoyance or a major throbbing, all forms of dental pain may be sending you a message. Our bodies were designed to tell us when something major might be wrong. Pay attention to your body and contact us right away if you have a serious concern. If you have concerns with bad breath, you are not alone. According to the American Dental Hygienists’ Association, 40 million Americans suffer from issues with bad breath. We’d like to recommend a few simple solutions. Our patients are always looking for ways to quickly and dramatically improve their smile. While tooth whitening may be effective for teeth that just need a tune up, it’s not a sufficient solution for a smile that needs more than a color shift. At Murray Dental Group, we serve the youngest to the oldest, so we know that daily oral care is an essential life habit to pass on to our children. Here are some tips to help your children learn to love brushing their teeth. Teeth Sensitive to Hot or Cold? While sensitivity does not automatically mean you have a serious oral health issue, tooth pain should not be ignored. At a minimum, if you are experiencing sensitivity please share it with the Murray team during your next visit.  What's Happening At Murray Dental Group? Do you ever wonder what happens at Murray Dental Group when you’re not there? There are many ways to stay connected with our team and get a glimpse into what we’re up to in between your visits. Did you know the average American sees their dentist more often than their physician? Dental practices have become the first line of defense for catching oral cancer early. At Murray Dental Group, your health is our primary focus. Studies say that 44% of Americans made New Year’s Resolutions to kick off 2015. The vast majority of resolutions were related to health changes and commitments. However, by the end of January 2015, only about 1 in 3 were still committed to fulfilling their resolution. At Murray Dental Group, we want to encourage you and your family to consider a few simple resolutions that will help you pursue healthy smiles. Can Flossing Save You Money? While many of us may floss when we know our regular dental checkup is coming up, studies say that only 5% of American floss regularly. The Murray Dental team highly recommends you join the top 5% today, both for your dental health and your bank account. Soon the giant ball will drop on Times Square and we will all be saying goodbye to 2015 and hello to 2016. When the clock strikes twelve, your dental insurance policy will automatically reset for the new year. What does that mean for you? Studies say that the average American consumes more than 23 pounds of sugar from soft drinks every year. Although sugary drinks may taste great, they also contribute to tooth decay and possibly even more serious oral health issues. The Murray team understands that tooth replacement is a very real concern for the majority of American adults. Studies say more than two-thirds of middle-aged adults have lost one or more of their permanent teeth. While many options are available for tooth replacement, we always search for the best lifelong solutions for our patients. DO WE REALLY NEED TO VISIT THE DENTIST EVERY SIX MONTHS? After high school, many adults cut back on their dental visits. While 83% of children between the ages of 2-17 visit the dentist regularly, only 61.7% of adults make the dentist a regular part of their life. ARE YOU USING THE RIGHT TOOTHPASTE? Choosing the right toothpaste for you and your family can be an overwhelming adventure. The Murray Dental team has created a quick guide to help you make a well-informed choice. What if there was a simple treatment to help your kids prevent cavities? Isn't brushing enough? While regular brushing and flossing is critical to cavity prevention and overall oral health, even good brushing cannot always reach all the grooves and depressions in your teeth. In traditional dentistry, the primary method for filling a cavity was to use silver amalgam metal. As a result, you may be among the millions of Americans who reveal a little silver sparkle every time you smile. If you have missing or damaged teeth, you are not alone. Studies say that 69% of adults aged 35-44 have lost one or more of their permanent teeth. With many tooth replacement options available in today’s modern dental practices, the Murray team loves the advantages provided by Dental Implants.